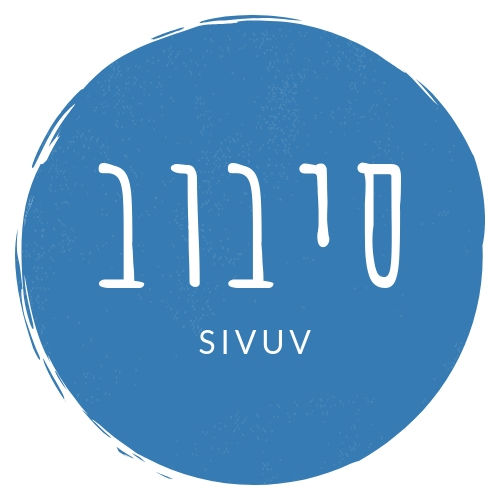 This year, my birthday on the secular calendar (January 18) and my birthday on the Hebrew calendar (12 Sh’vat) align for the first time in 30 years. It’s the first time they’ve fallen together since the day I was born! There’s a passage in Pirkei Avot that says age 30 is the age of כח koach, which we usually translate as strength. I don’t think this is strength in the sense of “might;” age 80 is when one arrives at g’vurah, might or heroism––God willing, I’ll get there, too! Commentator Hanoch Albeck says it’s that at 30 one becomes filled with the ability to perform even difficult tasks, in that 30 is the age at which the Levites begin their service at the Tent of Meeting (Numbers 4:3). Kalonymus Kalman Shapira, Rebbe of the Warsaw Ghetto, uses the word koach similarly in his theory of education, Chovat HaTalmidim––a work that has had great impact on me, even in the little I’ve studied it. He says that the purpose of education––as opposed to rote instruction––is to find and nurture the inherent character and talents that either are only just peeking out from inside or exist merely in hidden koach, potential. Singing with all my heart alongside others doing the same. A good philosophical question about the way we choose to live. An unexpected flower whose name I don’t bother to know. Does species even matter? Beauty is what matters. Getting lost in a book. Ari’s recently acquired interest in baking sourdough bread. Our new cat, Nemerah. She came home with us a week and a half ago. I don’t find it useful to talk about one’s “essential nature,” or even one’s “inherent character.” We change, and our passions change. The set containing them is always a fuzzy one. My bar mitzvah Torah portion was Bo, which we read last Shabbat. It contains the tenth plague and the Israelites’ hasty exit from Egypt. Mussar master Shlomo Wolbe, in another favorite commentary of mine, teaches that at that fateful hour of midnight, the great potential of the Israelites was revealed to them. That was the redemption, not the physical exodus. It was the moment in which, for the first time, the Israelites knew the greatness of which they were capable. But it was just a flash. Then we forgot, and all our holidays are meant to remind us. Is there really any way to know what one can do? Or is every moment the beginning of a new question, a new way of wondering? A new infinite array of possibility? That passage in Pirkei Avot goes up to age 100. So it’s like I’m now on the third day of a ten-day vacation. I can’t believe how much I’ve gotten to do and experience already, and it feels like the rest of the trip stretches out ahead of me. There’s still a whole week left! So much potential! But I know that, soon enough, I’ll blink and vacation will be over. What does it mean to make the most of my time? To let time make the most of me? And how can I wonder thus without thinking of Mary Oliver? I love her work for the questions she poses. She embodies Rilke’s vision of “living the questions” without seeking answers today: Rarely does she answer; often does she ponder. And her questions lay bare, in the most direct and simple ways, the wonderings of my own soul. All through our gliding journey, on this day as on so many others, a little song runs through my mind. I say a song because it passes musically, but it really is just words, a thought that is neither strange nor complex. In fact, how strange it would be not to think it––not to have such music inside one’s head and body, on such an afternoon. What does it mean, say the words, that the earth is so beautiful? And what shall I do about it? What is the gift that I should bring to the world? What is the life that I should live? One other thing… Since it is my birthday, I have one small request: If you enjoy reading this blog, please consider subscribing via email (see the button somewhere on this page) and sharing the site with at least one other person you think might like it. I’d be honored. I know I am reading this essay when your birthday is in the rear-view mirror. Nevertheless, I feel drawn to comment on it as someone who believes deeply in your prodigious potential. It is a privilege to read your words knowing that I am witnessing potential being realized, actualized by humbling citing the words of others as you seek and find your own authorial voice.